See how working with us can evolve and grow your business. Put simply? SharePoint and all things Microsoft! It’s our specialism and something we are extremely passionate about. Centrally located in the midlands in the beautiful grounds of Strelley Hall, Nottingham we are perfectly placed to provide the skills, resources and expertise to allow your business to introduce SharePoint correctly. We can help strengthen your SharePoint development team, build innova​tive SharePoint applications and drive more business value from the SharePoint investments you have already made. Why not come and see us? You’ll love our location. Oh, and you can call us ‘id’ for short. “Why the chameleon?” I hear you ask! 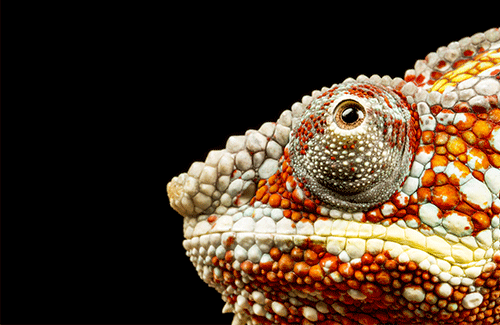 Well at id we believe that change is a good thing, just like the Chameleon who changes colour to mimic its environment. It’s this attitude to change and the ability to adapt to your business needs that allow us to deliver innovative solutions that help your business evolve. We don’t think of ourselves as an external entity helping your business. Instead we prefer to work inside your business and understand your pains and needs as if we were an employee. It is this unique perspective that enables us to deliver solutions which exactly match what you’re looking for. You’ll get to know us very well, we’re great fun to work with! Hopefully like our other clients we will develop a strong relationship and continue to support you. We are aware of the benefits in long term customer relationships, and strive to become a ‘Technology Partner’ to our customers. This allows us to deliver high quality solutions and continue to support you with your SharePoint journey. We are strong advocates of agile methodologies such as SCRUM. Experience has taught us that typical Waterfall methodologies just do not work with SharePoint. All projects that we deliver no matter what size are run in an agile manner, ensuring you have full visibility of the solution as it evolves. Our very own qualified SCRUM Master – Director Tony Pounder leads the charge on agile development and ensures we are always at the forefront of any developments in the agile space. See how working with us can grow and evolve your business, contact us today.